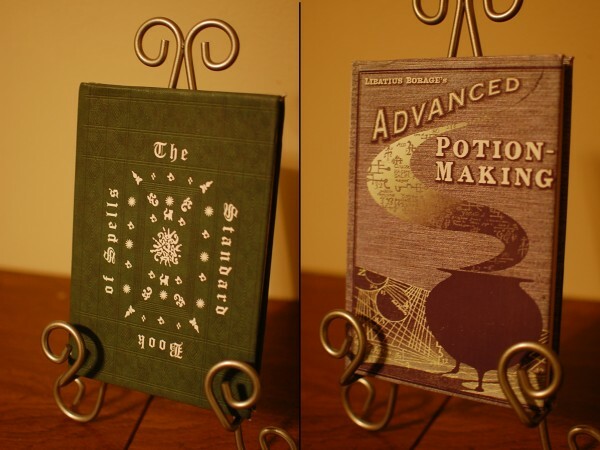 · Selling an Advanced Potions Book Purse/Clutch - PERFECT for cosplay! Hey guys! I'm desperately in search of this SA Harry Potter items to complete my Harry Potter Battle of Hogwarts cosplay. - Topman L/S Grey Heather Mark Shirt with Black Neckline (S, M) - the one I have in pic is an ALT color, too dark to be light grey like Dan's. I need to get the SA color with the black neckline. I'm currently in search of SA Hermione Granger items that Emma Watson wore in the Harry Potter films. Any help finding these would be much appreciated! Hey guys! I'm currently in search of these SA Harry Potter items to put together another cosplay I'm working on. My ISO consists of clothes worn by Daniel Radcliffe in the Deathly Hallows and Half-Blood Prince. Any help finding them would be very much appreciated! Posting this for Mandy, who posted this many years ago. She is deleting her LJ but wants this post to live on, so here it is again. Enjoy! 4th-Jul-2014 03:14 pm - Selling an Advanced Potions Book Purse/Clutch - PERFECT for cosplay! I'm selling an Advanced Potions book purse/clutch that I had custom made for me from an Italian seller. It's basically a prop of the Advanced Potions textbook in the HP films (the cover, spine, and back are printed) but in purse form! If you're looking for something unique and clever to carry your wallet and phone while in costume, this would work great. The eBay auction can be found here. I struggle with finding the absolute perfect Gryffindor robe colour. The robes from the Wizarding World of HP at Universal Orlando are reddish in colour, while the ones from the Harry Potter Studio Tour of London in Leavsden are burgundy/slightly purple in colour. The ones from Whimsic Alley seems more burgundy than maroon. Any ideas? I know I'm really picky, but I'm a huge fan. 4th-May-2013 02:39 pm - Lochaven Tie? Does anyone here own one of the Lochaven ties? I have their sweater vest, and was debating buying a tie, but I'm not sure what the difference really is between their tie and Noble's/Universal's. I'm new to this community, and I'm really excited to be a part of it. As this is a community for HP Costuming, I assume you are familiar with garments from Lochaven International of Scotland. I am looking for a typical Gryffindor student look, and am therefore planning to buy scarf (300 g), quidditch jumper, tie and cardigan. I wonder how the garments are regarding sizes? I am between a S and a M, and wonder whether I should take the smallest or the largest size. I don't want them to be too loose, but not too tight either (so that there is room for the shirt). I also wonder if the scarf with 300 g is too thick for a Scandinavian weather? Please tell me about your experiences! 19th-Nov-2013 02:59 pm - Selling two rare Harry Potter book props! I bought these books from a lucky find on Ebay, but I haven't been able to find them again. They are journals in the style of 'Advanced Potion Making' and 'Standard Book of Spells.' They have the same cover art as the movies! I used them on the 'Slytherin' table at my wedding, and they are awesome, but I am selling everything to pay off my wedding debt. They are full auctions and both of them are at like $2 right now. So don't miss a chance to get something really cool for a great price. :) Thanks! This page was loaded Apr 19th 2019, 2:24 pm GMT.